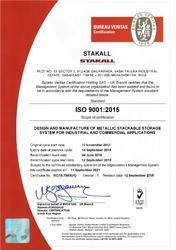 Since the established in year 1990, "Stakall" has been one of the popular manufacturers and exporters of Steel Pallets, Drum Pallets, Cage Bins, and much more. Contributing to the industry for two decades our company has the perfect understanding of the requirements and necessities of the consumers and have delivered them the exact products. In addition to that, the company examines the products on the basis of quality and performance through rigorous tests for guarantying the best possible products to our clients and has the unbeaten quality as is certified by the international organization for standardization. The products have been highly appreciated and demanded in the market because of the effortless movement ensured and trouble free to handle. The products are light weighted and highly polished for flexible operations by the user and healthy serving life. We have registered unmatched status in the company because of the top class product available at highly reasonable prices and requiring no special maintenance while operation. Under the effective guidance and supervision of, "Mr. Dharmesh Panchal", our company has delivered and worked to the maximum capabilities and has made a remarkable name in the market. His years of experience and knowledge of the business has allowed us to adopt new and unique schemes beneficial for the growth and development of the company. The company has incorporated the fully equipped and highly spacious infrastructure for competing in the market efficiently. We have maintained the area for utilizing it proper and delivering immediately to the consumers. The departments are divided in the organization according to the précised functions performed. Always there to serve you well after the guarantee period is over. More sense of responsibility-delivering value to clients. We have a passion to deliver. The enterprise has flourished and provided a tough competition to the other contemporaries in the market because of the systematic and efficient working by our employees. The company has recruited dedicated and sincere who have worked for the betterment and prosperity of the organization. In addition to that, they have designed products to match the needs and leading demands of the industry. They have responsibly followed the rules and regulations illustrated by the company for coordination and chaos free working. Our manufacturing brand is Stakall. We are a client centric organization that focuses on meeting all the requirements of the clients with utmost satisfaction. For us, our efforts are only creditable, if they can stand tall against the litmus test of the expectations of the clients. Hence, we direct our resources towards effectively satisfying the varied business specific demands of our clients by offering them a mix of superior quality and cost effective range. Our ability to customize the range of products proves to be an added advantage in realizing the goal of client satisfaction. Also, the stringent quality management system and R&D practices help us to surpass the imaginations of our clients. 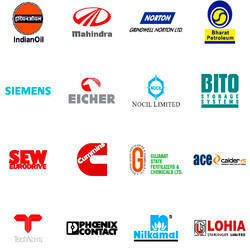 We are one of the OEM suppliers to storage solution division of Godrej & Boyce Mfg. Co. Ltd., Mumbai.